The days have been a blur, so packed with activities, new friends and places. The days have been a blur, so packed with activities, new friends and places. My head is on data overload trying to put together all the pieces and formulate an action plan. Thankfully, I had Dean Ismail with me to help. We’ve been a great team. He has an amazing mind, which was fun to see in action. While in Jerusalem, I spoke enough broken Hebrew to get us around and when we arrived in Nazareth on Wednesday, he took over with his fluent Arabic. It’s amazing how much information you miss when you don’t speak the language. So, we heard and assimilated a lot. The situation here became clearer. It’s not less complex than we thought, it’s just that we’re more more enlightened. Indeed, the complexity in staggering. Last night we had a VIP conference dinner for 30 at a restaurant in a 250 year old building. I never saw so much food in my life. There’s nothing like Arab hospitality. 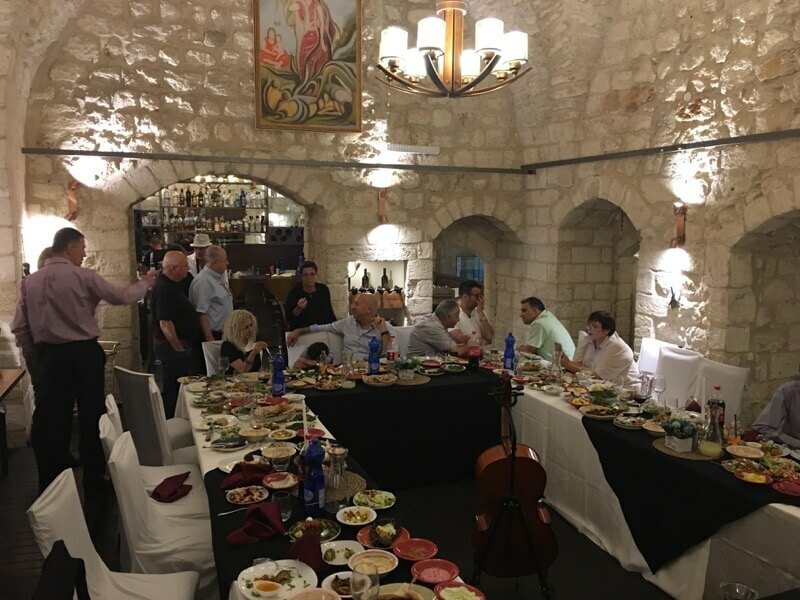 In fact, we had gotten to Nazareth earlier in the day and went to visit the sites and had a bite at a local restaurant. Dr. Ismail did the talking and when the proprietor found out what we were doing in Israel, he refused to give us a check. We had to insist. Imagine that happening in New York? 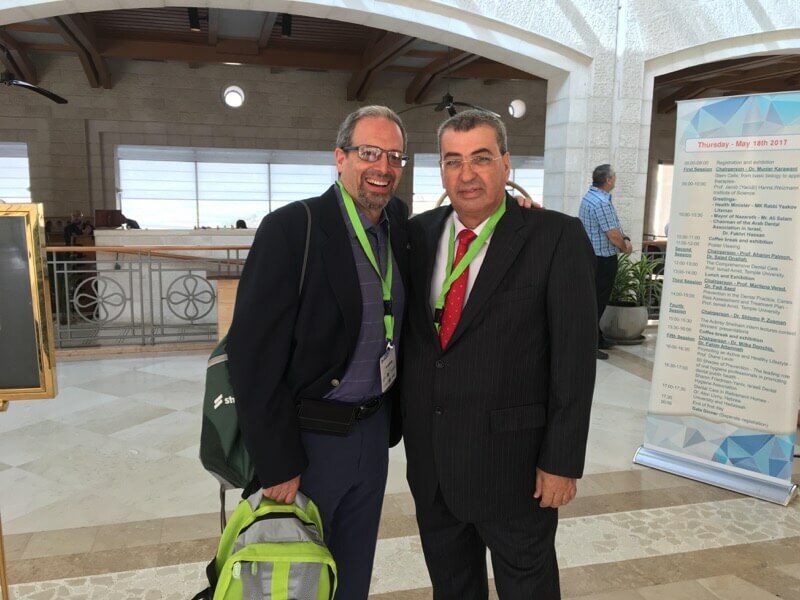 The conference, sponsored by the Israeli-Arab Dental Association was well attended. 700 Dentists heard dignitaries and Dr. Ismail speak about public health and Dentistry. 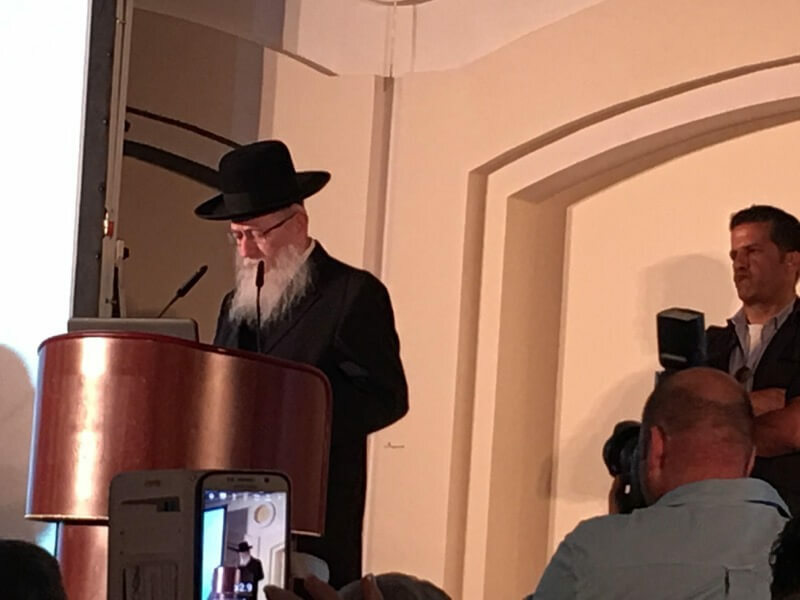 Minister of health, Rabbi Lissman, a chasidic Jew with his security detail in background as he addressed the Conference. 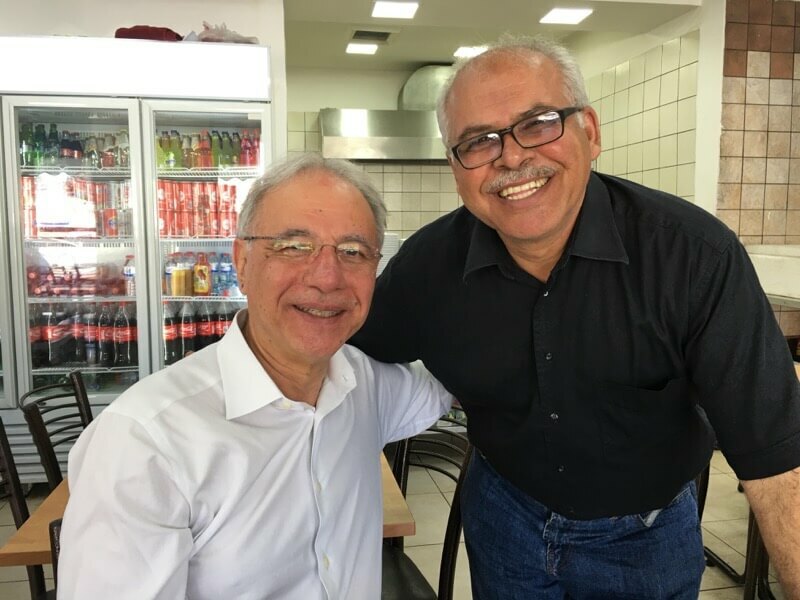 While I enjoyed the lectures, I must admit that I learned more about the complicated political situation by speaking to the attendees during the meals and breaks. We accomplished quite a bit. Where we go from here is something we need to figure out. I’m at the airport now getting ready to fly back. I wanted to catch you up and I hope to collect my thoughts and give a meatier report of my thoughts in the next installment.